New York is famous for its pizza but one of the main questions I’m asked? Where do you get the best pizza slice from in NYC? I’m very lucky to have visited New York many times and it truly feels like a bit of a second home now. 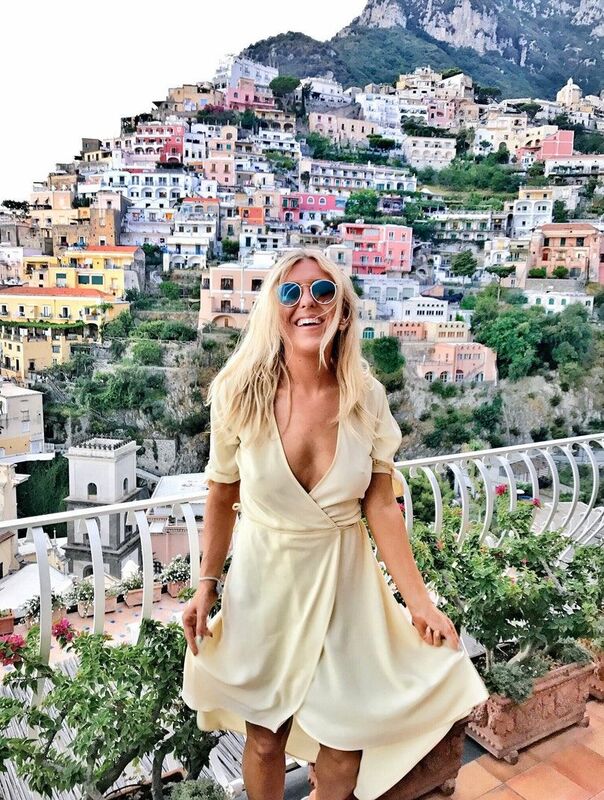 Rumour has it, there are so many restaurants popping up in New York all the time that you could eat out every night for 10 years and STILL not try them all. 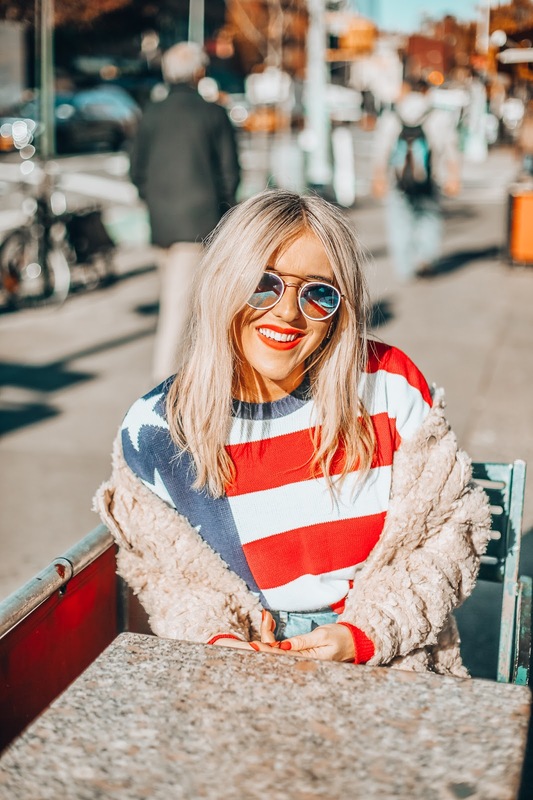 If you've ever read my huge New York city travel guide you'll know that I absolutely love visiting New York and have tried many of their restaurants but I still have thousands to tick off. 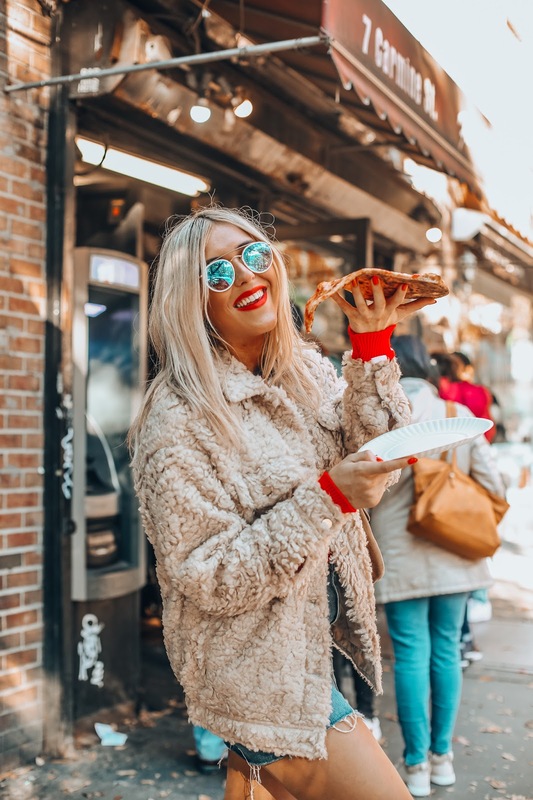 Here are so many different opinions on where to get the best pizza slice from in New York but I thought I’d share some wisdom on my top places for the best pizza in New York. Rubirosa - Probably the best pizza I’ve ever had (okay, I lie, the best pizza I’ve ever had was at Tony's in San Fransisco but this is a close second). I met with a friend who was born and bred in Manhattan and she said everyone swears by this place. It’s found on Mulberry street, really close to China town and in the heart of Soho. Promise me you will go. It’s worth the wait, there will 100% be a line so either go at an awkward time (say 3pm or 4pm), try reserve for lunch or get ready to queue for two hours. The pizzas are huge, you can go half and half on toppings too AND THEY TASTE DELICIOUS. The Rubirosa special is incredible. I’d recommend Rubirosa as your first choice for sit down pizza in NYC. It’s also really romantic and it has a lovely atmosphere. Pizza Slices In New York - Where’s the best place for a pizza ‘slice’ in New York? This is something I’ve debated with many New Yorkers. 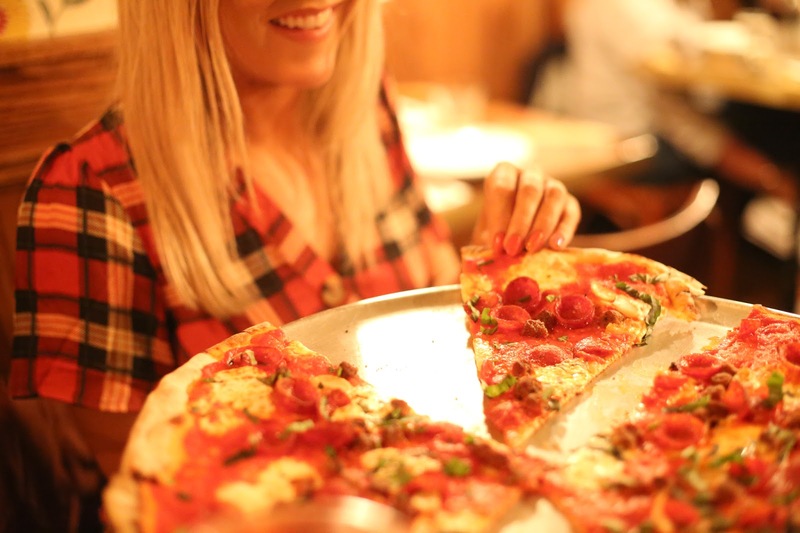 Whilst Chicago are famous for their pizza pies (aka, deep crust, cheesy goodness - and yep, I tried as many as I possibly could whilst there), New York are famous for their delicious, bigger-than-my-head, crispy slices. It’s funny because one slice of pizza in New York is 100% the size of a whole pizza in the U.K, uhohhh but you only live once. Ultimately, pizza doesn’t need to be fancy: it just needs to taste good. Below you will find my top two places to go and grab a pizza slice in New York. 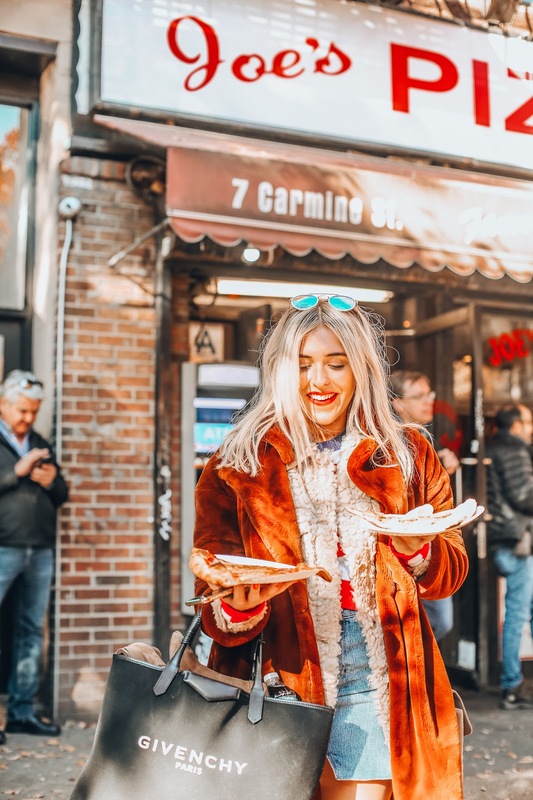 Joe's Pizza - Joe’s pizza is apparently the absolute best place for a pizza slice in New York, loved by the Kardashian's, Leonardo Dicaprio and many more (it's also from the Spider Man movie), this is where the locals go to get their New York pizza fix. Walk in, order whichever you fancy and then enjoy sitting outside with it in the park opposite. Bleecker Street Pizza - I think Bleecker is similar to Joe’s but apparently Joe’s is better. In my opinion, Joe’s pizzas are really cheesy and a little more perfect whilst Bleecker Street I’d say is a lot more cheesy, dare I say? PLUS crispier. Both are great, particularly if you can get one piping hot, fresh out of the oven. My advice? Go to one then walk down the road to the other and have a slice at each, they're about 3 minutes from eachother down the road, it would be rude not to. There's a small seating area inside Bleecker and also a nice little spot outside if you can grab it. Other notable pizza restaurants: I thought it would be good to include the pizza restaurants I haven’t yet tried in NYC (because I love the above so much and I can’t quite believe I’m saying this, there’s only so much pizza a girl can consume in one week and I honestly think I broke records on my trip to Chicago - 6 in 7 days FYI but I’m yet to do so many in NYC, there’s still time don’t worry). These are the places I've also been recommended over and over for the best pizza in New York. Roberta's - A hidden wall in Brooklyn, this is meant to be the creme de la creme of crispy, oven baked pizza. People apparently queue round the block for it. Next on my hit list, I cannot wait to try this place. Grimaldi's - This is at the other side of Brooklyn bridge so great after you’ve walked the bridge. I did actually eat here once and it had all the credentials for an epic pizza but to my horror, mine was burnt. I know people swear by this place though so it may be worth checking out (after all the above, of course). I'd say it's good but it wasn't my favourite New York pizza. It's on the list though because I know people like it. 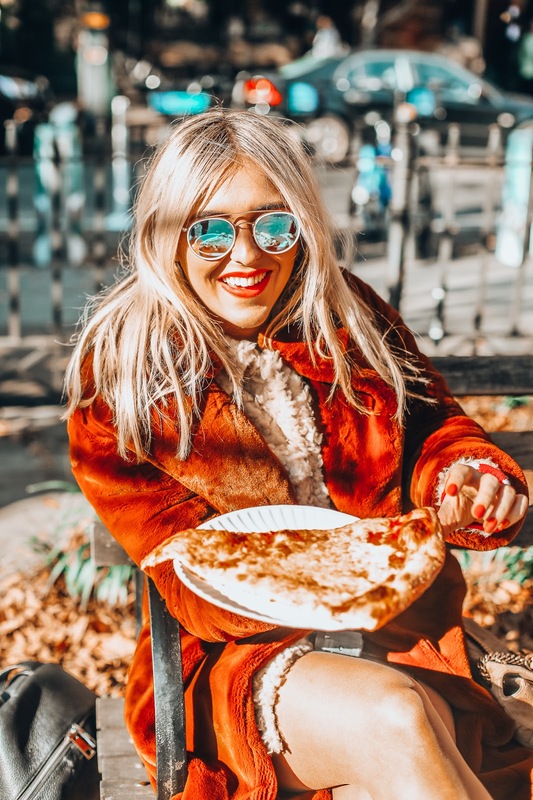 New Park Pizza Queens - I went on a food tour years ago with a guy called Famous Fat Dave (desperate to do another one), I cannot recommend a better way to eat your way around hidden gems in New York. Dave drove us to Queens for what he classes as the best pizza slice in NYC. I ate 3. That’s how good it was. It was such a basic, crispy Margherita but pizza doesn’t need to be fancy, a good Margherita is sometimes all it takes. 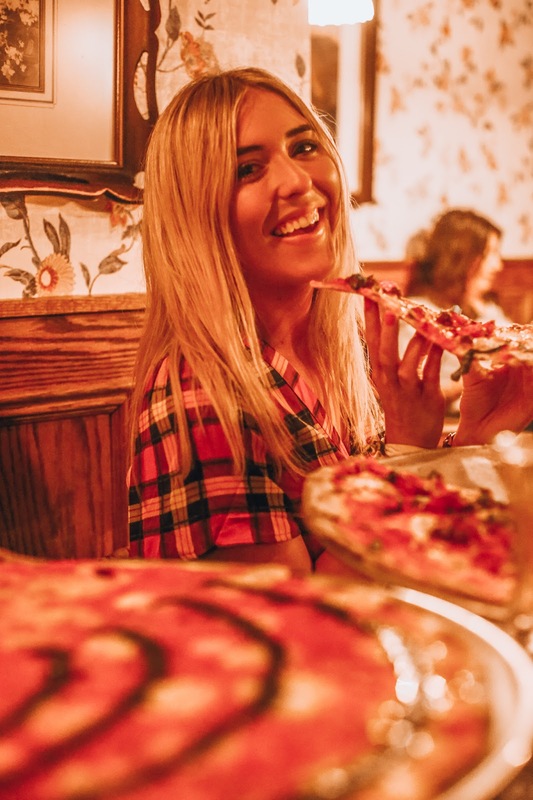 So there we have it, a little look at my absolute favourite pizza places in New York city, the best place to grab a slice of pizza and in my opinion, the best pizzas in New York. Happy eating!